Rock legend Kurt Cobain, who definitely left us way too early, had an adorable daughter with fellow singer Courtney Love. 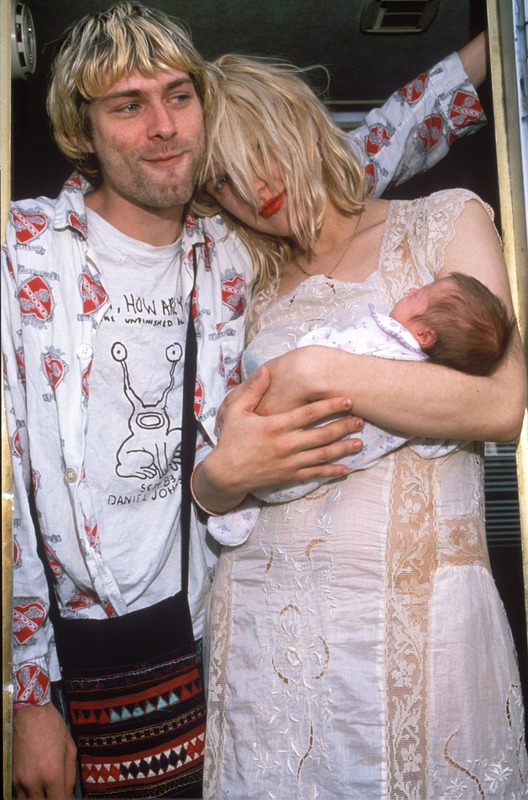 Little Frances Bean was born in August 1992, and unfortunately only got to spend a little less than two years with her daddy. Mom Courtney tried her best as a solo parent. Judging from these photos, and the fact that Frances is a grown up and successful woman, Courtney didn't do a bad job. Sure, there were rough times, but somehow the two managed to always pull through and come out stronger, and we bet Kurt would be proud of both. From her first Christmas and her first red carpet appearance (which, spoiler alert: happened very early), to Frances being an angsty and emo teen and eventually growing up into a strong and independent 26-year-old. She grew up in the public eye, yet she somehow managed to stay quite private, and quite sane, which is not too common a thing. We can't wait to see what the future holds for this lady, but now let's take a look at her past. Alright, without further ado, here are 20 photos of little Bean growing up to become a beautiful and smart lady! Here's legend Kurt Cobain with his little newborn bundle of joy back in the early '90s. Even though he got to only spend two years with little Frances, we are sure there was a lot of cuddles involved. The photo above is one of the earliest photos of Frances that is revealed to the public, which is why we obviously had to make sure to include it. Frances, who was born on August 18, 1992, at Cedars-Sinai Medical Center in Los Angeles, California was actually named after another musician, Frances McKee, the guitarist for the Scottish indie pop duo The Vaselines. 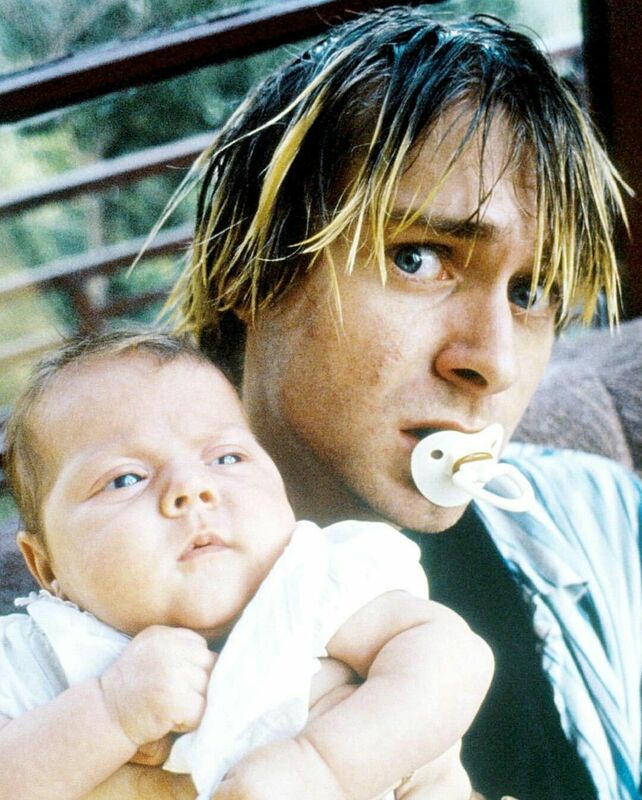 While there aren't many personal photos of Kurt Cobain and his daughter Frances Bean available, the ones that are sure to make anyone out there swoon. Like this one, where little Frances is wondering where on earth her pacifier went, while daddy Kurt is clearly just being goofy and fooling around. 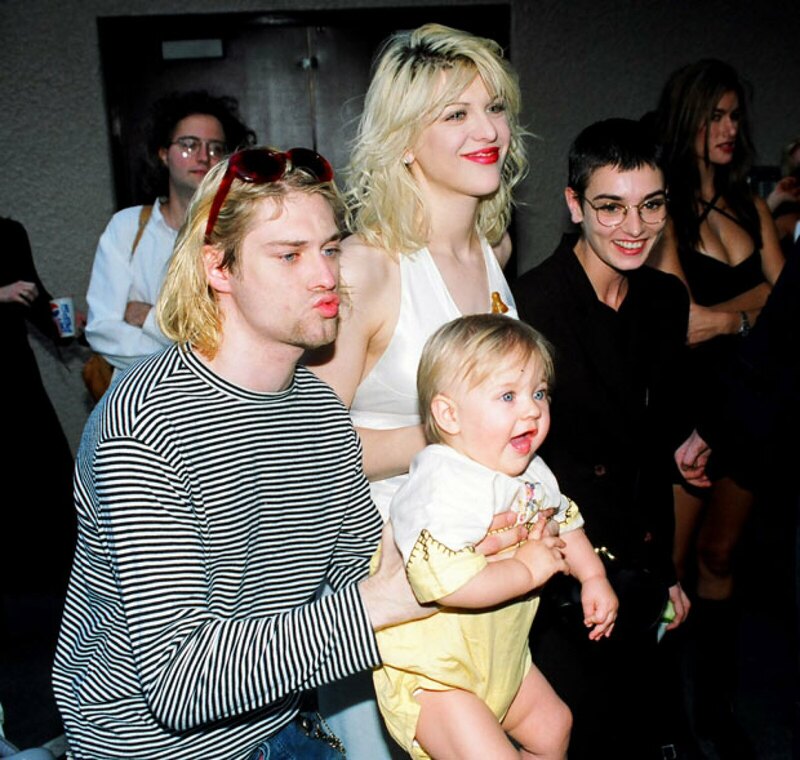 Unfortunately, knowing that Kurt didn't get to spend much more time with little Frances makes these rare photos of the two together so much more valuable. Oh, and we sure do hope Frances managed to get her pacifier back that day, even though she seemed quite calm without it. Yup, cuddles save everything, don't they? Here's a very personal photo from a personal family collection that shows us how even though Kurt struggled with all of his addictions, as well as his mental illnesses, he still was a good father to little Frances Bean, and he loved her very much. While we're sure Frances doesn't remember much of her dad (she wasn't even two years old when he left this world), having some photos like this one that show these special moments she and her dad shared must mean the world to her now. Can we also just say that little Frances was an adorably cute baby! Just look at her eyes! Honestly, we are absolutely screaming out loud because this photo is just too perfect to handle! Little baby Bean's first holiday season, and you bet she stole everyone's show in this adorable Santa attire. She's still too small to actually stand on her own two feet, but that's okay because mommy and daddy are always ready to give her a helping hand. We bet this very first Christmas Frances spent with her family was a lovely one! And while she only got to spend one more holiday season with daddy Kurt, at least she has these photos to treasure forever! The photo above is one of Frances Beans first red carpet appearances, and we can all totally agree she stole everyone's show, no one was even paying attention to Kurt and Courtney. The little newborn was photographed with her famous parents at an event only a couple of months after she was born. And while not everyone will agree that a red carpet event is baby-proof, Frances seemed to be holding up fine, and in fact she slowly started loving them. Later on, you'll see how much she fun she used to have with daddy at these glam events! Yup, there's the whole family hanging at the 1993 MTV Video Music Awards! Honestly the adorable trio was the highlight of that year's red carpet, and you bet little Frances Bean was the main star of the event! With daddy constantly goofing around and showing everyone how proud he is of his adorable little Bean, these three were a beautiful sight for the eyes. Oh, and if you thought things didn't get a bit more weird than this that night, then you definitely misjudged little Frances Bean and her dad. They were definitely up to some mischievous things later on. Like, for example they held a How To Properly Poke Your Nose 101 class for everyone. Well Kurt was holding it, little Frances Bean was sort of a student herself, trying to get the hang of it. But hey, she learned quickly she was definitely a teacher's pet! Okay, all jokes aside, we have to admit that this one may be the most adorable and funny photo on this list. We bet little Frances and daddy Kurt goofed around a lot during the times they did get to spend together. And we bet Frances got her goofy side from her dad. With parents like Kurt and Courtney one is never too young to start attending concerts, right? Well, at least to be backstage and wait for mom to be finished playing so that she can come and play with Frances. Here are Courtney and Frances pouting their lips (another thing one can't learn early enough) backstage at one of Courtney's gigs with her alternative rock band Hole in Zurich, Switzerland, in 1995. Yup, little Frances has pretty much traveled the world before she could even properly speak. And can we just take a moment to acknowledge how much little Frances looks like her mom? Uncanny! With such creative parents, Frances was bound to end up exploring all sorts of arts, and when she was a child she loved painting. Here's an old photo of her exploring how fun a big canvas can be. Clearly an artist in her element. Can we also just point out how adorable her little outfit is? Especially with that late '80s-early '90s high ponytail! Also, you know you're a pro when you paint with both hands: its time efficient and clearly sets the fauxs from the pros apart! 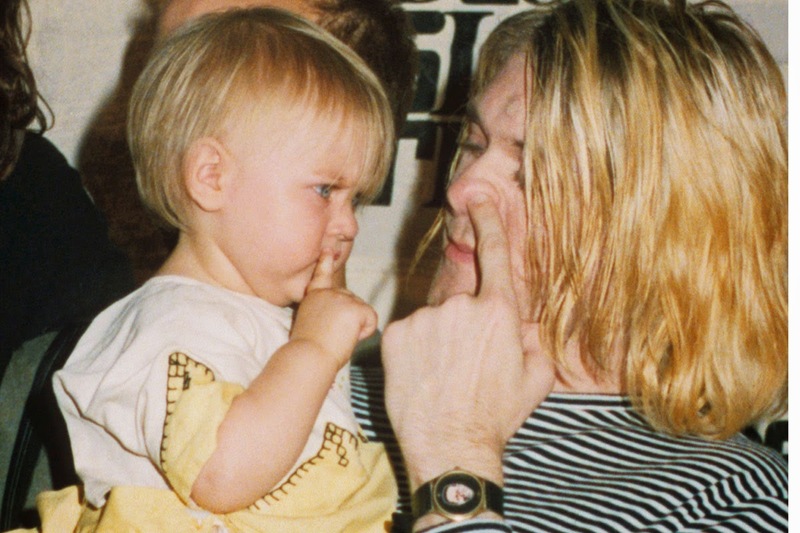 Jokes aside, we do wonder what it was that little Frances Bean was painting here! Yup, Frances may have been an exquisite painter at a very young age - I guess we'll never know, but one thing we do know for sure is that she was still just a regular kid. And regular kids don't leave their homes without a favorite toy or two. So here's little Frances following mom Courtney while bringing along a Mickey and a Minnie toy. Her outfit is so adorable and headbands suited her so well! And mommy Courtney looks super posh with her beige coat, black hat and glossy bag. Now we definitely know whom Frances inherited her unique style from! Here is another photo of little Frances and her mom Courtney Love back from 1998, where the two divas look absolutely stunning. While mom Courtney looks very classic 90's chic in her black attire, Frances definitely still managed to steal the show here, by wearing an adorable black and white polka dot dress, rocking that Ariana Grande half up-do way before it was popular, and stealing her mom's oversized shades. Seriously, isn't little Bean here the cutest thing ever? And as you can tell, she still knows how to pout, so practicing with mommy definitely showed its results. Cuteness overload! Let's move on to 2001, and take a look at Courtney and Frances at the movie premiere for the blockbuster Pearl Harbor. Being a celebrity kid has its perks, especially when it comes to seeing a bunch of movies amongst the first. So while the rest of us have to wait for the movies to hit our theaters, little Frances got to see a bunch of them with mommy Courtney at their premieres. Both ladies wore beautiful black dresses, and as you can tell, nine-year-old Frances is loving being in the spotlight with her mommy. You can bet plenty more movie premieres followed! Yup, everyone who remembers the early 2000s, remembers how iconic the movie remakes Charlie's Angels with Cameron Diaz, Drew Barrymore, and Lucy Lu were! And of course, Courtney and Frances were big supporters of it. Drew Barrymore is actually Frances' godmother, so it's really no surprise little Frances was super excited for this! The fashion is very early 2000s, with vibrant colors, spaghetti straps and silky materials. Both mom and daughter looked fab, and we bet they had a lovely evening there. Little Frances is almost not so little here anymore, as she is 11 in the pic and will already be a teen in the next pic. Who says teenagers can't cuddle with their parents. Sure some might think it's embarrassing or whatever, but teen Frances Bean was always mature enough to know way better. So here she is at the Idol season 4 finale in 2005, watching the show and having a cheeky little cuddle session with mom Courtney. Frankly, we are actually firm believers that no one is ever really too old to cuddle with their parents, and both Frances and Courtney clearly agree with us. As far as their outfits go, both rocked very classic 2000s statement jewelry, and looked absolutely beautiful! Here are Courtney and Frances at a red carpet for the brand Versace in 2007, and we have to admit that 15-year-old Frances looks absolutely grown up and gorgeous. Now that she's a bit older we can definitely see that while she does look a lot like her beautiful mother, she also took a bit after her father, and grew into a beautiful, blue-eyed lady. And while she surely had a hard childhood and unconventional upbringing, Frances still managed to be a decent child, one who wasn't too much of a trouble-maker and that tells a lot about her personality. Let's move on to 16-year-old Frances throwing a very not-so-sweet 16 birthday party. The photo above was posted to her My Space (yup, those were the days) and Frances was rocking classic 2000's emo attire, with the black dress, dark hair with side-swept bangs and abundance of eyeliner. Seriously, pretty much every millennial who remembers My Space can relate. The party itself was under some media scrutiny as its theme was rather dark and not too appropriate for someone turning 16. But hey, she is Kurt and Courtney's daughter after all, so are we even surprised she didn't have a party full of pink glitter? Yup, we all recognize the classic My Space web cam pics, we all had them. And we all thought we were super cool. Now while most of us got to delete ours and no one will ever see them, Frances unfortunately has to live knowing her My Space pics will flourish forever on the internet. But hey, that's okay, they're not even embarrassing. 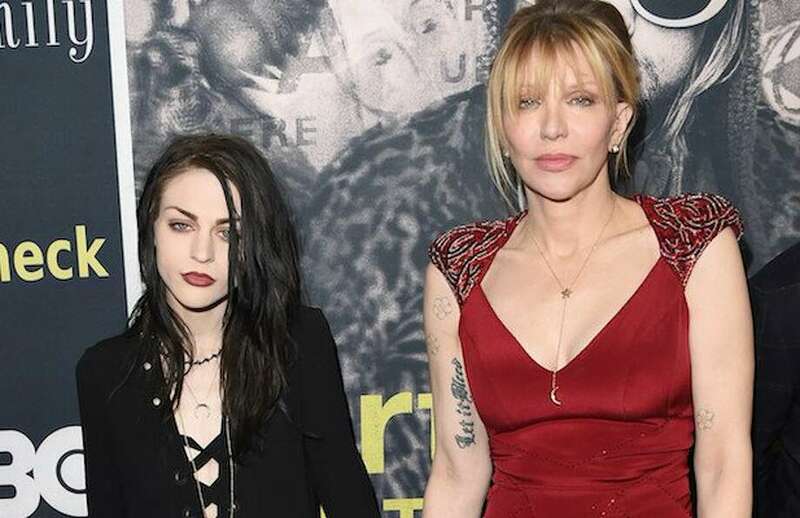 Besides, it's nice to see that even though she has famous parents, Frances Bean still seemed to have grown up and lived quite normally, experiencing all the things the rest of us did when we were young as well. Well, as normal as a celebrity kid can be. Frances still had quite an extraordinary youth, with a ton of red carpet events (as you've already seen). And a perk of that is that one easily becomes friends with other famous kids, so here she is at the premiere of Aquamarine, a teen classic from 2006 featuring Emma Roberts and JoJo. So here's Frances casually posing with young Emma, and can we just all take a moment to appreciate how much more chill movie premieres were back then. I mean sure, it's a teen movie, but still, the two are pretty much dressed as if they're going to the mall - and we are loving it! Fast forward to 2015, and Frances definitely doesn't look mall-ready anymore. 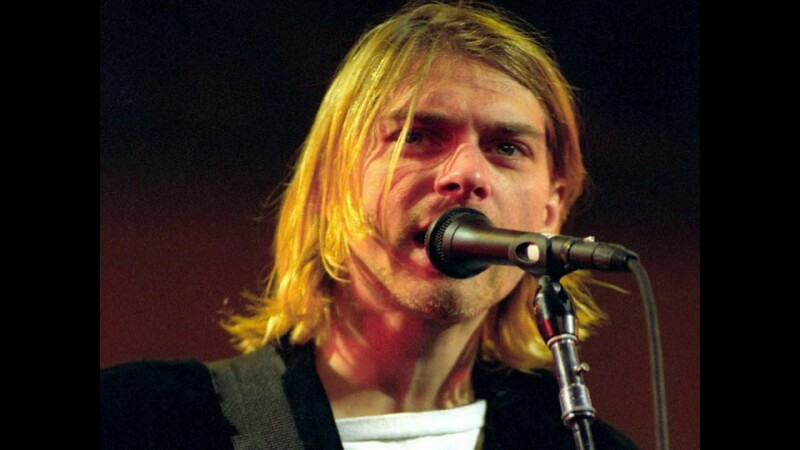 At the premiere of the 2015 documentary film Kurt Cobain: Montage of Heck, the 23-year-old looked everything but innocent. She sort of went back to her My Space days, but turned things up a notch. And while it may not be everyone's cup of tea, we must say that she does look pretty cool, and we are not surprised at all. The very dark emo phase didn't last too long, but who knows, maybe Frances will go back to it one day - we definitely think she owns it. Now as you can tell from this pic from 2018, Frances toned her looks down quite a bit, but she still looks stunning. And it's nice to see that she and her mom still have a good relationship, and that they made it through all the ups and downs they encountered. Frances didn't have the easiest life - losing a parent at such a young age has a lasting effect on one, but she managed to find her own way in this chaotic world, and we really do think that daddy Kurt would be incredibly proud of how far she's come!